Today we both had different things going on and so we decided it would be best to just connect over the phone. Seven. I really enjoy talking to Sarah, it’s been nice having her there to talk about things and there are times when something happens during the day and I think “it’ll be fun to tell Sarah about this later”. We tried FaceTiming but Brian was driving and my connection at my house is usually bad so we ended up talking on the phone. I got done running some errands and he had just gotten done with dinner with his roommate. We talked about our days and what we did. Brian was supposed to help his dad cut down trees but it got cancelled. He was able to spend some more time relaxing today, which I think was good because he’s been pretty busy with work and some side projects. He’s been killing it with one of his goals involving an idea he’s had for a while. We’re going to be seeing some cool things from Brian here in the future. I learned that Brian is not a fan of doing laundry. 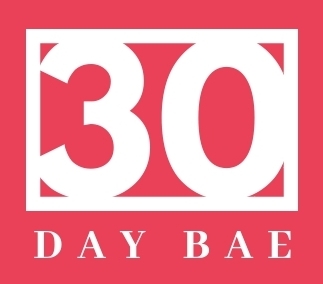 What I learned about myself...I feel like I’ve been slacking a little bit in the 30 day bae since it’s the last week. I haven’t put forth as much effort so I need to change my perspective to try and get the most out of this last week. Six. Always have good conversation. We talked about the importance of laughter and what we were able to accomplish today. Five. Being in the last week has been harder for me. Since we decided things aren’t going to be moving forward past the 30 days I haven’t been as present and have noticed myself checking out more.